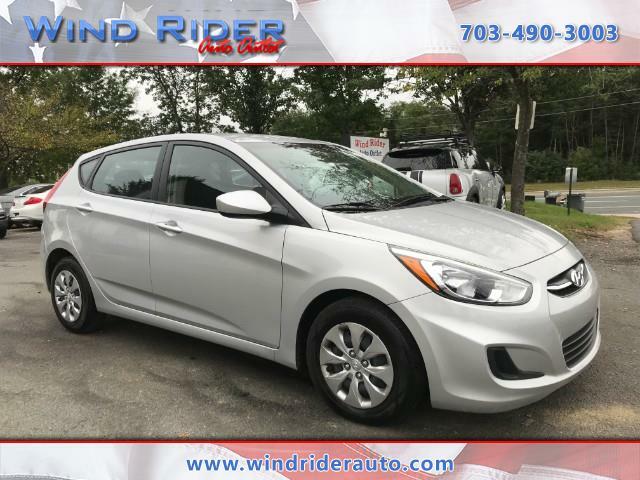 2017 HYUNDAI ACCENT SE!! *RECENTLY PASSED VIRGINIA SAFETY INSPECTION* *TWO OWNER* *UNDER FACTORY WARRANTY* THIS LITTLE HATCHBACK IS ALMOST BRAND NEW BEING IN GREAT OVERALL CONDITION INSIDE AND OUT. IT IS FUEL EFFICIENT MAKING IT A WONDERFUL CHOICE FOR A COMMUTER VEHICLE. A/C BLOWS COLD. TIRES HAVE PLENTY OF TREAD. DON'T MISS OUT ON THIS GREAT OFFER! CALL US TODAY!